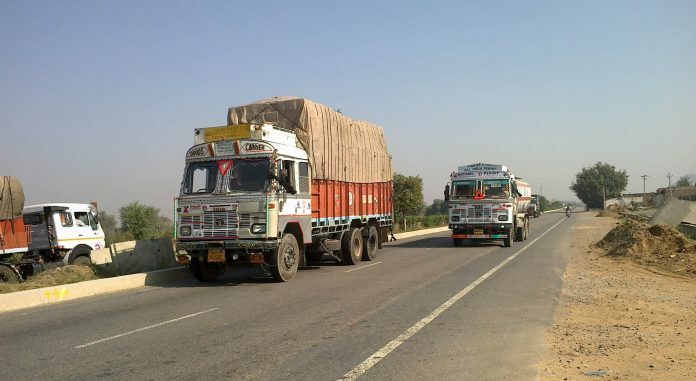 The Federal government has decided to enforce the load limit on trucks plying on the national highways and motorways. In a letter sent to the Chairman of Fleet Operators Association of Pakistan (FOAP) by Ministry of Communication, overloading on provincial highways will be considered Illegal and heavy fine would be imposed, officials said. 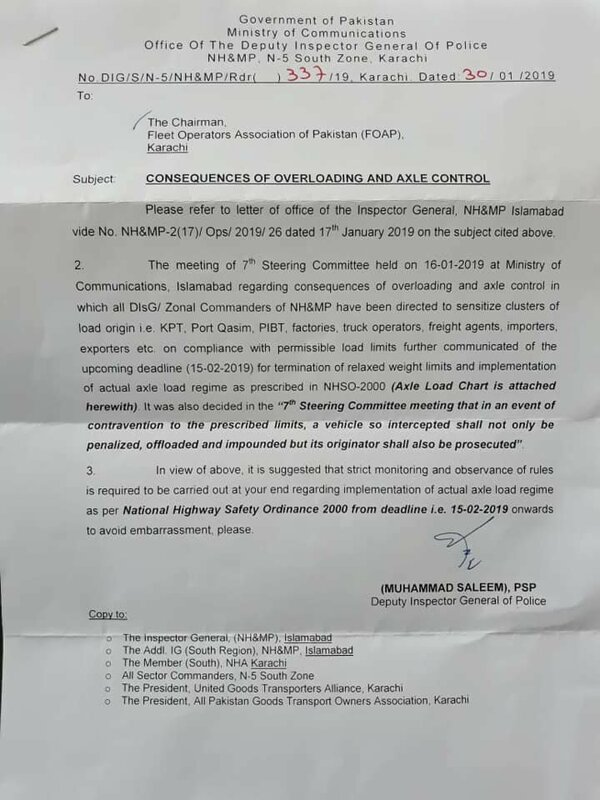 In a meeting held on 16-01-2019, all the DIsG/Zonal Commanders of NHM&MP were directed to sensitize the cluster points of load origin including KPT, Port Qasim, PIBT, freight agents, truck operators, and importers/exporters and check the permissible load limits which is 58,500 kg. This includes the payload, weight of tractor head and weight of semi-trailer. As per National Highway Safety Ordinance 2000, the government would start crackdown after the deadline 15-02-2019 against those who will not abide by the load per axle instructions.